Well, maybe we didn’t exactly visit her summer residence but we saw her carpet. The carpet isn’t yet in her residence, but it will be soon. And it’s absolutely amazing! When someone suggested we visit the carpet factory in Kostandovo, I couldn’t help but wonder why the heck would we want to do that? Don’t get me wrong – I am a woman, i.e. curious by default settings. But a carpet factory? What could possibly grab our interest there? Well, being the team player I am, I ended up going. And I cried (I am slowly turning into a cry-baby). Nearly hidden from the eye of the passerby, a low, white building stands behind a petrol station on the exit of the village Kostandovo near Velingrad. The look of the building doesn’t impress much, nor does the surrounding. A small store with a plastic table and few chairs are hosting the thirsty field workers who don’t even try to hide their interest in the yet another car with a registration plate from Sofia that parks outside. We walk out of one of our favorite Val&Kar vehicles and greet the dog, cheerfully wagging its tail. The entrance of the factory is not quite obvious, yet we manage to find it and we walk in. What we discover inside the white building takes our breath away in a second. The first thing we see is a massive weaving loom. We had heard before – the biggest carpet ever made is now being created there. It will be going to the summer residence of Queen Elizabeth. I can’t help myself and turn on the camera – there’s no way I can capture the size of this on a picture so I made a short video, just to show it. Then I lower the camera and choose to watch the whole process with my own two eyes, ignoring the call of duty pushing me to take as many pictures as I can. The women working in the factory are my grandmother’s age (or close). On the blink of an eye, they pass a woolen thread through the strings of the loom and cut it. They work faster than my brain can understand creating the enchanting carpet which Queen Elizabeth will enjoy. The beauty of the work they do is undeniable, but what bugs me is that the surrounding doesn’t match it. It feels like looking Michelangelo draw in a poorly lit basement. A lady with a huge smile approaches us, and I learn that she’s the manager there. Trying not to miss a question we ask, she starts telling us everything we want to know about the place. Q: How many women work here? A: About 15. They work mostly during the day, but sometimes, when we’re in a rush we also have night shifts. Q: How much of this hand-crafted beauty do they create per day? A: Well, 5 or 6 women make about 10 centimeters from the carpet per shift. It’s crucial that they work in perfect synchronization and follow the drawing strictly. Q: Where do you sell the carpets? 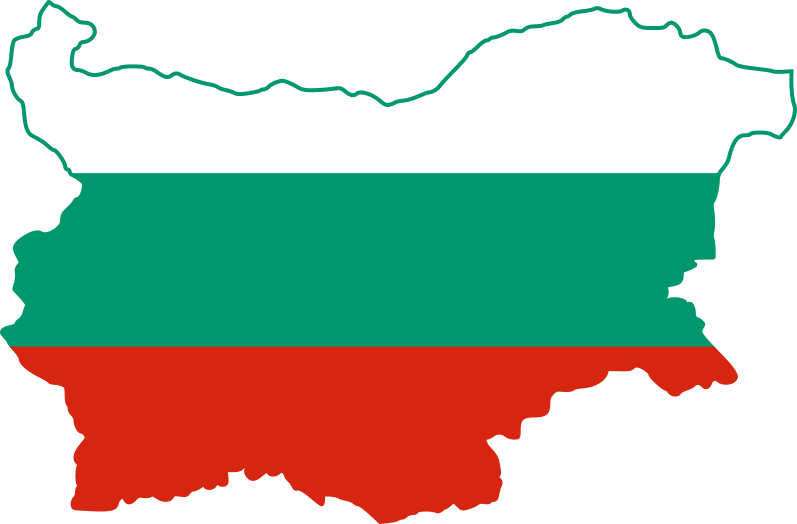 A: Mostly abroad… Unfortunately, not many Bulgarians know about us. Besides, a handmade carpet is expensive compared to the mass production flooding the market lately. Q: But this is an old craft… Do you train young people to continue the tradition? A: We try to, but they can’t last long. As with most professions, youngsters believe they can quickly start making a lot of money. And when they realize it takes time and great effort to master the skill, they quit. Q: Who sells your products? A: Oh, our boss has a partner in the UK who arranges the deals. We just make them here, but he’s responsible for selling them. Q: And are they expensive? A: Very! There’s nothing synthetic about the materials we use, not even in the paints. We work with the best quality. But it’s not about that. I mean, it’s not about the money. The carpets here tell a story. You have no idea how many things happen in the lives of the women that braid them. Q: Well, the workers here must be well paid! A: We get the minimum wage for Bulgaria, but we’re happy. Our salaries have never been delayed until now – not even for a day. Q: Wait, are you telling us that there is a man in the UK selling those carpets to castles and residences and you get paid a minimal wage? A: Yes, but it’s better for them. If it’s not the factory, there’s no other source of income in the village. At this point, I can’t define if I am furious or just sad. Q: And where are your carpets today? A: Oh, many places. One of our carpets was in one of the Harry Potter movies because it is located in the Alnwick Castle. Another one is in Tony Blair’s office. There is one in the Albert Museum in Vienna, and Jane Churchill (Winston Churchill’s grand-daughter) has one. And of course, many other places. Q: What about the women here? Do they have a carpet each? A: Oh, no, it’s too expensive. They can’t afford it. We all stand quietly for a while, admiring the beauty before our eyes. And we ask one final question. Q: Are the workers here happy with the work they do? A: Oh yes! You should see them when we finish a carpet. They take pictures of it and with it – they are really happy. Finishing a rug that takes a month, two, or even more to complete is like having a child. It’s not easy, but when finished it brings so much joy and pride! It’s time for us to leave and so we do. On my way out, I can’t stop thinking about this. I shouldn’t be sad – I say to myself. The people that buy the carpets enjoy their beauty, but is there anything more deeply satisfying than the ability to create this beauty on the first place? One day I’d like to pay for each of these women’s own carpets. This would be a present to myself. Were you allowed to speak to the workers themselves? Or were they also voiceless apart from being underpaid? This is very impressive and it reminds me of the time I have visited a carpet factory in Varansi, India. It was the same, old people working on old manual machines, taking months to finish a piece. That’s an amazing experience right there. So many great memories. Also these photos and videos are perfect. Wow, I couldn’t imagine something like that! These woman work so hard (also on nights shift) for a minimal wage? To export carpets to one of the richest families in the world, in the more expensive country of Europe? I’m upset. Thank you very much for sharing this post! It’s better than a journalistic reportage! It’s so frustrating that people who put their heart and soul into work are not appreciated and get a minimum wage. It’s sad how low people think of handmade stuff and bash them for beeing too expensive while they have no idea how much hard work and hours are put into them. Handmade carpets will always be lovelier than the ones mass produced by machines! I’m glad you took the bait and went to explore this lovely factory! It must have been a memorable experience! These women are so good at what they do! That carpet is looking so nice so far! I wish these women were getting paid more but I’m glad they’re happy. I think I’d feel exactly the same as you about visiting here – impressed but sad at the same time! It’s almost sad to see how happy they are with only earning minimum wage, when the carpets are so beautiful. This will definitely be one of the visits that sticks in your mind forever! These looks SO beautiful. I love the design and the pretty colours so much. Wish to own one! That quilting looks amazing! I wish I could see it! Wow! Those carpets sure are beautiful. One must have serious patience and team work skills to make something like this. It’s sad to know that the women only make minimum wage for these expensive carpets. Even if they’re happy with what they’re being paid, I believe they deserve more. This is like an art piece and the artists need to be rewarded for their hard work and most importantly…their time. I admire and respect them for loving what they do and for doing it so well. They seem to be extremely humble which is important and great! Thanks for sharing this post. Great videos too. Definitely got me interested.